are some opportunities whose timing required immediate consideration” and Telecel had been one of them. The payments infrastructure he’s referring to is no doubt the mobile operator’s Telecash mobile money service. In fact he says earlier in the report that NSSA is already looking to use mobile money to pay pensioners so that they don’t have to travel long distances to get their money at banks. NSSA however, unlike other government companies (ZESA mainly) who have rejected integrating their services with privately owned mobile operators, seems to suggest they have approached mobile operators without discrimination. technology to pay pensions. Mobile operators have been engaged to provide use of their platforms for the payment of benefits at pensioners’ convenience and at reasonable transaction costs. It is hoped that the engagements with the mobile operators will remove the need for pensioners to travel long distances, at great cost, to collect their pensions. Back to the acquisition of Telecel: the chairman also disclosed more on how they had acquired NSSA as well as the current confusion on whether Vimpelcom had been paid. Essentially, Vimpelcom has indeed not received its money yet because it’s sitting in a local trust account of a legal firm. The firm has been reported to be Honey & Blanckenberg which you will probably remember to be the firm that has represented Telecel Zimbabwe on some legal matters for a while now. On who exactly bought Telecel between NSSA and ZARnet, the chairman says it’s “a quasi-equity participation funding which gives the equity control of Telecel International Limited to NSSA until certain conditions precedent are met by ZARNet.” He clarified however that NSSA would emerge with a significant share of Telecel, in all circumstances. NSSA paid $30 million for a 60% stake in Telecel on behalf of ZARnet, a Zimbabwe government owned internet service provider. NSSA paid $30 million for a 60% stake in Telecel on behalf of ZARnet, a Zimbabwe government owned internet service provider?? My opinion is NSSA paid for all of that stake in Telecel on behalf of Zanu Pf. 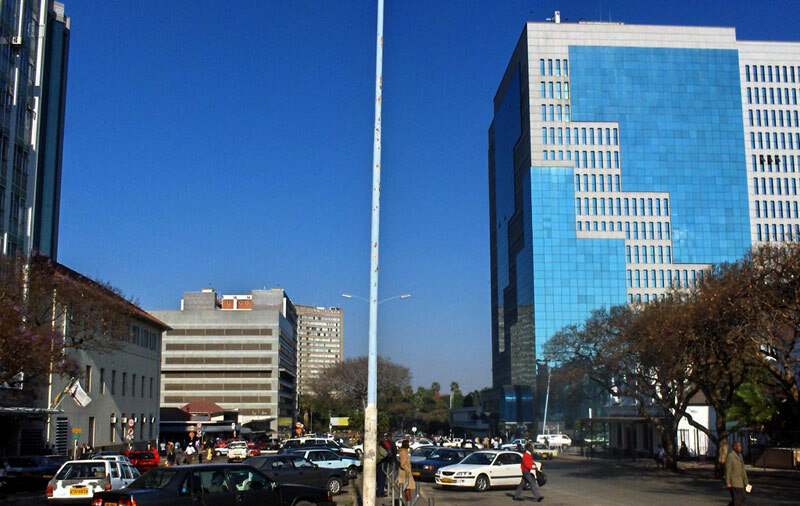 Why should NSSA funds be used to invest in non-core operations of its existence? 60% stake costs $30million and the licence costs $137million I can’t get the logic it’s like buying a TV set for $30 and paying $137 licence fees who is fooling who? Why has the firm been reported to Honey & Blanckenberg(Biti)? Unless the money is received into Vimpelcom account, it is not sold and Vimpelcom is still the the owner! “Zarnet, through the Ministry, has commitment of funding from a third party approved by my principal. All I would appeal for is a commitment in writing from NSSA to finance the transaction simply so as to comply with VC’s diligence issues,” reads Mandiwanzira’s e-mail to Vela. “NSSA does not lend funds direct to any company. It lends to banks to on-lend to the productive sector, but under strict and limited conditions. The Telecel transaction would not qualify as such,” wrote Vela to Mandiwanzira. And now this Vela is singing a different song! What changed behind the closed doors? Politically, Vimpelcom is majority owned by Russians. The same Russians who vetoed a lot of UN security sanctions which were to be imposed on Zim. The same Russians who are our all weather friends and promising $4 billion platinum investment. Is the president going to be happy when Mandiwanzira upset them? What l see here is $30 million sunk into a black-hole vortex which it will never come out. I see auditors being called in and investigators plus few small fish being harassed here and there by police to create a smoke screen. Was the intention ever to buy Telecel……?? It’s obvious what Supas intention was. Bulldoze the Telecel bidding process, elbow out all other genuine bidders, arm twist the shareholders VC and EC into selling at sub market value, then add a massive premium to the $30m deposit paid in order to arrive at a new value of $250m to the highest bidder. Make a quick $220m arbitrage markup in the process. VOILA! In a normal country a commission of enquiry and forensic audit would be instituted right about now and the handcuffs would have been brought out for Supa already. But then again this is Zim.